We found a great little tool that'll have you up and running with a great looking site in no time! Oh, and the site is best viewed in Firefox or Safari. 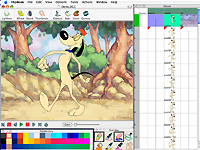 Cambridge Animation Systems has announced that it's 2D animation package "Animo" will be coming to the Macintosh platform and will be adding Flash output to the mix. Seeing as how most digital artists generally lean towards the Macintosh platform this is great news. Jon and I have been longtime supporters of the Animo system and are very pleased with these developments. 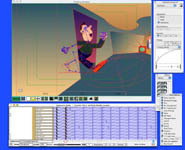 CAS Animo has offered a complete digital animation package for animation production since it's beginnings in the early 90's. While other packages are available, Animo was and still is the most complete package on the market. 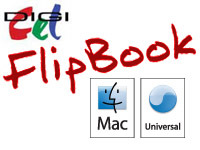 Among some of the standout features are it's unbeatable, unlimited system for color models (believe it or not, some other systems currently available can still only provide 256 colors), animateable vector drawing tools second to none (including Illustrator, Live Motion, Freehand and Flash itself) and the ability to do track reading right in the system. It has also offered distributed rendering since it was released. For smaller companies and individuals these tools, along with the addition of Flash output, have the potential to revolutionize animation on the internet (which is what Jon and I have been saying all along). This is coming from years of experience with the product, not just speculation. Here at Animation Meat we do not like to re-purpose press releases and use them for advertorials as some other publications do. So here's a link to take you straight to the horse's mouth.